Dr. Joseph Mattioli: Always Moving Forward is the sixth in the Great Pennsylvanians series produced by WVIA Public Media to recognize individuals from Northeastern Pennsylvania whose achievements bring honor to all Americans and who are models for young people. Previous documentaries presented the lives of former Governor William Warren Scranton, United States Federal Judges Max Rosenn and William J, Nealon, Monsignor Andrew McGowan and Pennsylvania Ballet founder Barbara Weisberger. 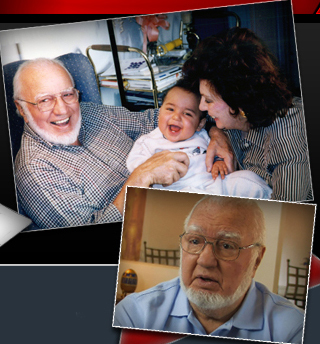 Dr. Joseph Mattioli: Always Moving Forward is a one-hour documentary film celebrating the life and the accomplishments of Dr. Joseph Mattioli, a first-generation Italian American who lived his life by two rules: always do what you love and always move forward. From his humble beginnings in the rural coal regions of Northeastern Pennsylvania, “Doc” would go from farmhand to railroad worker, from road builder to dancer (almost), from Marine medic to preeminent dentist to savvy businessman, devoted husband, loving father and grandfather. Along the way, Dr. Mattioli and his wife and partner Dr. Rose would oversee the turbulent birth and growth of Pocono International Raceway, one of the most successful racing and entertainment venues in the country. Their all-or-nothing entry into the world of auto racing in the late 60s and early 70s would dovetail with the rise of NASCAR, a phenomenon which would bring drivers and fans closer together than racing ever had before, and help make Pocono Raceway “The Indy of the East”. Over the last forty years, the impact of Pocono has gone far beyond the world of auto racing. 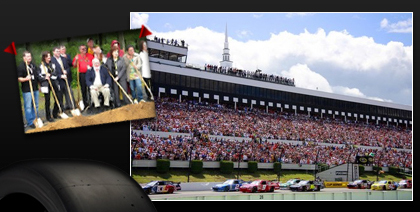 The track has become an economic and social center of Pennsylvania’s Pocono Mountains region. The Mattioli family’s philanthropic efforts in education and health care continue to improve the lives of everyone they touch. And Doc has never stopped re-investing in the racetrack, nor has he ever stopped improving the lives of the people around him.